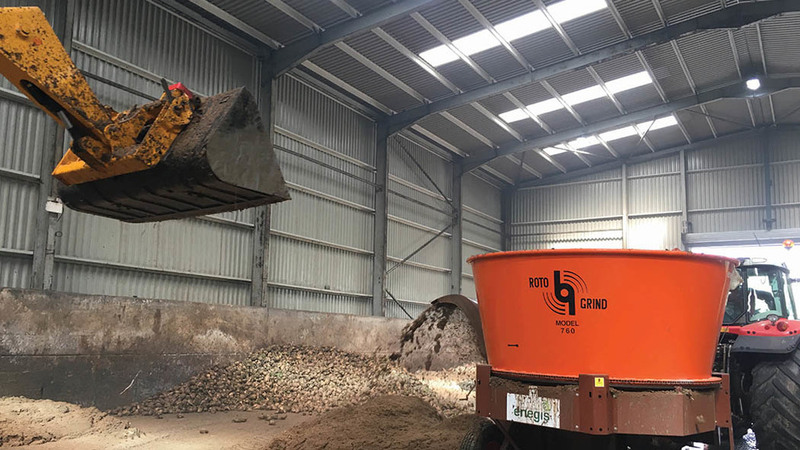 Growing energy beet provides a useful cropping option alternative to sugar beet, and a range of handling equipment is available to suit all sizes of operation. Sugar beet growers are increasingly seeing opportunities to supply feedstock for methane production in anaerobic digestion plants, growing specific energy beet varieties which are quick to ferment, have high methane yields per tonne of dry matter and provide a high percentage of methane in the biogas which is generated, suggests specialist seed producer KWS. However, energy beet needs careful harvesting and handling to minimise levels of dirt and tare, which can affect the gas production process and damage equipment. Beet grown on lighter sandy soils will be lower in dirt tare and this will be relatively easy to remove. The crop may be washed to remove stones or dry cleaned where stones and sand are minimal. It is then chopped or pulped ready to feed into the reception hopper of the digester. Several manufacturers offer equipment for this operation to suit farmers, contractors and plant operators. 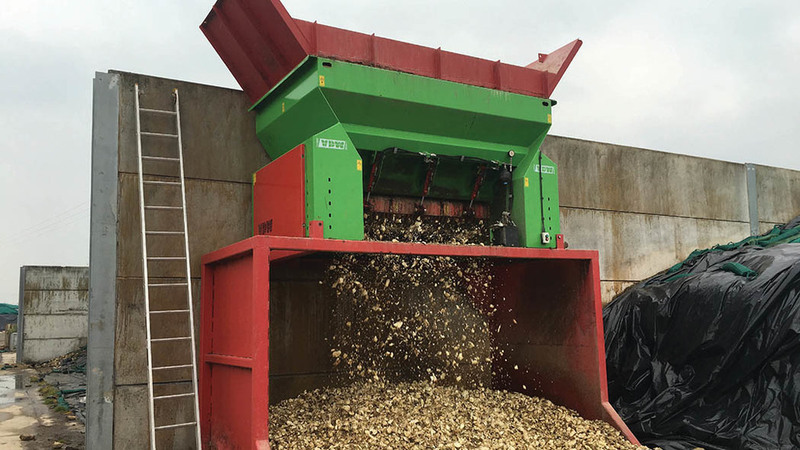 Beet specialist CTM Harpley offers a specially adapted version of its CTM 9000 series cleaner loader to process energy beet before clamping or preparation for the digester. The CTM 9060 energy beet loader is fitted with ‘real-time processing’ to remove stones or hard objects without the use of washing systems which can involve many thousands litres of water and produce industrial waste water, which itself incurs additional disposal costs. The system comprises CTM’s cleaning receiving hopper and a pre-cleaner which tumbles beet, effectively dry cleaning and removing soil, before a bank of sprung spiral rollers remove trash and a high percentage of stones and clods. CTM’s ‘Censor’ device incorporates density scanning plates which trigger reject flaps when they detect stones or other hard objects passing over them. These fall through the pneumatically activated reject flaps onto a discharge conveyor. Clean energy beet continues up a final cleaning elevator to the lorry. 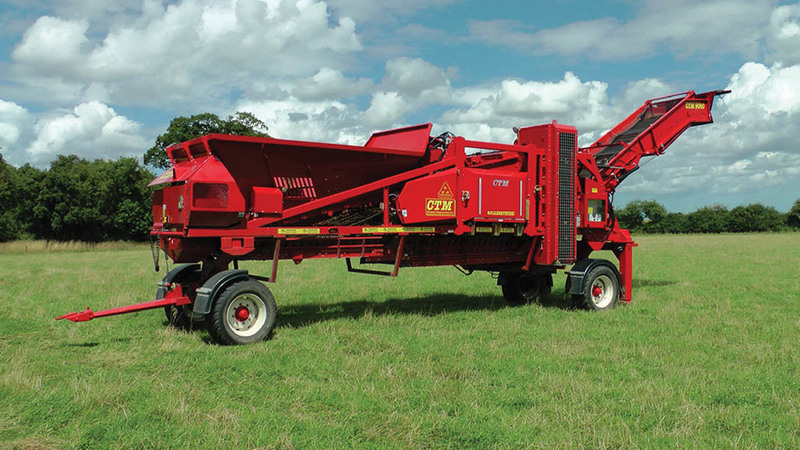 CTM has now added an additional recycling facility with a vertical ‘finger’ web which retrieves any beet accidentally rejected and returns them to the hopper. The result, says CTM’s Nigel Mountain, is clean whole beet without the inconvenience of water wash systems. “Censor can also detect glass and metal, eliminating them from the energy beet destined for the biomass plant. Censor can also be bought as a standalone unit for pack house operations. 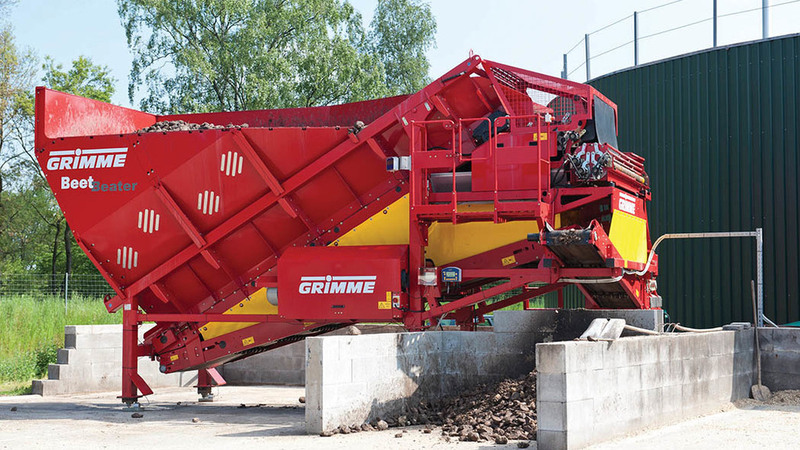 Grimme has developed the BeetBeater, designed to dry clean beet before ensiling. The process begins in a 20cu.m buffer hopper with integrated cleaning to reduce daily filling requirement, and the unit is said to be capable of processing 5,000 tonnes of beet per year. Intake height of 3.5 metres allows filling via a loading shovel or tractor loader. Beet is transferred from the hopper into the separation unit which uses Grimme’s MultiSep spiral segment rollers, which have infinite speed adjustment to vary cleaning intensity. Roller distance can also be adjusted to match stone and beet sizes. Soil is carried away via a cross conveyor and the beet transferred via axial rollers to the crumbler unit, being lined up into a tray and fed individually to the crumbler. Stone protection is offered by the KEinstein unit which uses acoustic stone detection to remove any remaining stones ahead of the crumbler. Beet is crushed using a Hardox toothed crumbler rotor working against a retention comb, and the chips discharged to the side while trash is removed via a cross conveyor to a trailer or heap. Operation is via a touch-screen operator terminal and an inspection platform with step ladder access can be specified to view and adjust soil separation. A number of options for processing beet are available from Enegis. Managing director Gerry Conlon says: “The choice of machine depends on whether you plan to ensile beet, the throughput required and whether it will be processed or stored on its own or with another feedstock, such as maize. Rotogrind tub grinders were originally designed to shred straw and other forages for livestock feed, and have also been used to chop feedstocks, such as FYM and green waste for energy production. Beet is fed into the tub using a loader bucket, where it is chopped by a hammer mill and adjustable shear plates to give a product which can range from 10cm cubes to fine shreds. The product is then blown into stockpiles via a chute. Liquid can also be introduced into the mix via the tub if required. Capacity varies with the substrate and tractor power available but Mr Conlon suggests outputs of 30t/hr can be achieved. “Its versatility and the road tow chassis make this machine ideal for a contractor or plant operator who has a number of sites,” he says. Prices are £20,000 to £25,000 depending on specification. For smaller operations, Mr Conlon suggests the Belgian-made VDW beet chopping bucket, which can be mounted on a telehandler or three-point linkage. The three-metre bucket has a full width chopping unit and a capacity of three tonnes, with optional stone protection. Beet is collected from the heap and can be chopped directly into the intake hopper of the AD plant, producing a 5cm square chop. Outputs are up to 70 tonnes/hour, and the prices start at £4,000. Where there is a requirement to wash beet, VDW offers a cleaning and chopping basket, which is hydraulically driven for use with wheeled loaders and telehandlers. The 2m wide basket rotates in a water tank to remove soil and debris. Beet can be washed and tipped whole for ensiling or chopped into the plant intake hopper. Previous Article When do children stop wanting to be farmers?